Kurdistan’s jagged Zagros mountains have historically guarded the high passes into Persia. 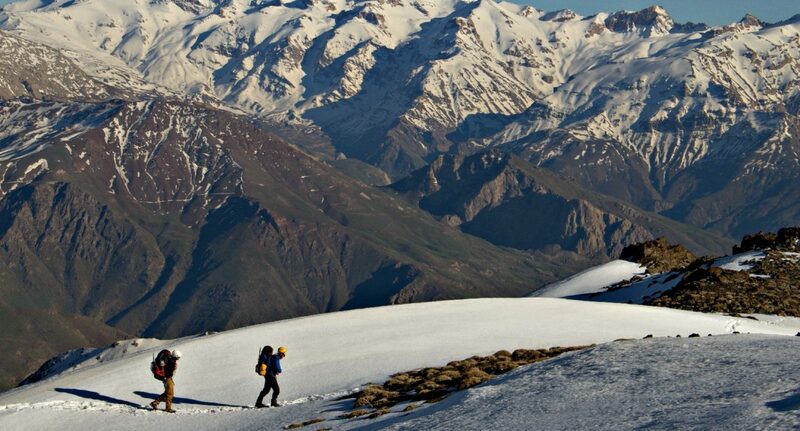 One of the kings of this snow-capped range is Mount Halgurd, the highest climbable peak in Iraq. 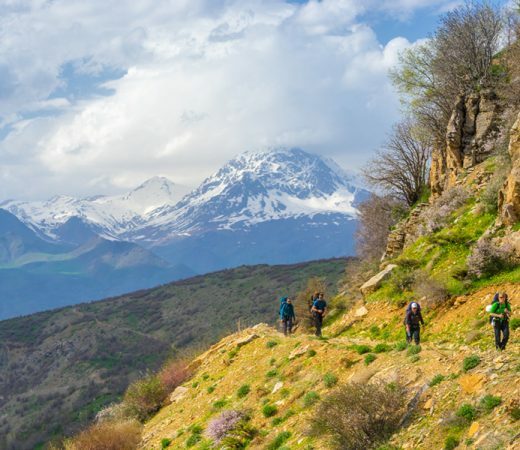 From the mosques and bazaars of Erbil’s ancient citadel to the country’s highest summit, this trekking expedition to Iraqi Kurdistan is culture, camaraderie and crampons in one neat adventure bundle. 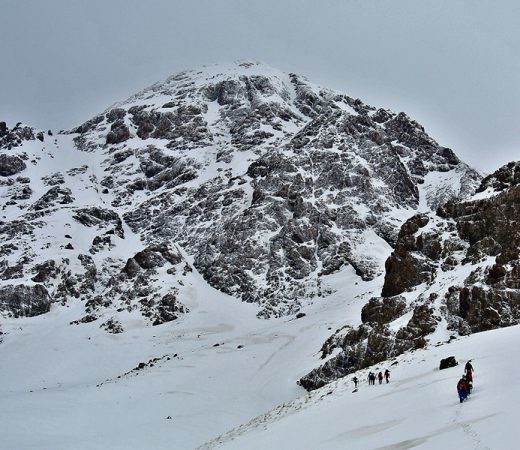 The aim of this epic expedition is to make a summit attempt on Mount Halgurd (3,607m). This snow-covered mountain is the highest climbable peak in Kurdistan’s Zagros ranges and the highest mountain that lies wholly within Iraq. In addition to climbing Mount Halgurd, this expedition gives you the chance to experience the rich and hospitable culture of the Kurds. Explore Kurdistan’s incredible capital city of Erbil and enjoy a typical Kurdish welcome in the smaller mountain communities encountered en route to Mount Halgurd itself. Conquer Mount Halgurd at 3604m. Attempt other challenging peaks (conditions permitting). Learn and practise crampon and ice axe use. Explore an area with no tourism infrastructure outside of the cities. 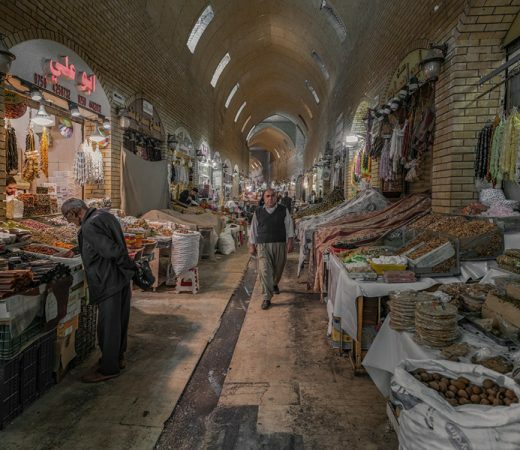 Visit Erbil, one of the oldest inhabited citadels in the world. Read an incredible Kurdistan article in Sidetracked. Mount Halgurd (3607m) is a trekking peak that does not require any technical experience. The skills required for the higher reaches of the mountain will be taught and practised on the lower slopes. This will include the use of ice axe and crampons, both of which will be provided by Secret Compass, along with training in how to use them. Until the mountain was climbed in 2004 by British mountaineer Ginge Fullen, Halgurd was thought to be the country’s highest mountain. Many still consider Halgurd to be the country’s tallest mountain although competition comes in the form of Cheekah Dar, arguably a few metres higher at around 3611m. Cheekah Dar, however, straddles the border with Iran and is not currently climbable (and not wholly within Iraq). The Zagros range is around 1500 km long. Its mountains and foothills sprawl westwards from Iran’s western border into northern Iraq (Iraqi Kurdistan) and up to the eastern reaches of Turkey. This formidable natural barrier has for centuries kept cultural and political entities apart, from early Mesopotamian and Median cultures to the more recent Persian and Ottoman empires. In addition to ethnic Persians, the surrounding regions are home to communities of Assyrian Christians, Kurds and Turks and many other significant ethnic groups with agriculture, animal husbandry, carpets and rugs the mainstays of many local economies. 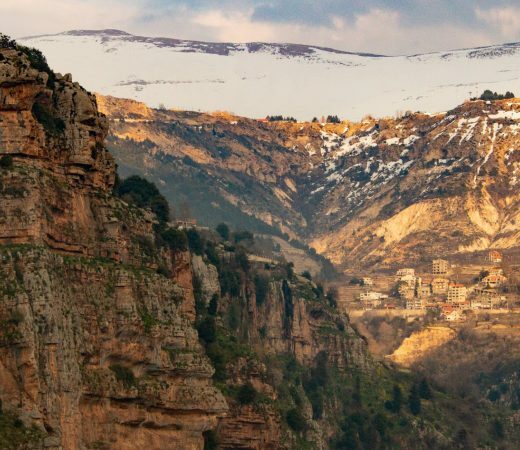 These mountains are considered sacred by the Kurds. Kurdish people are renowned for their hospitality and generosity. A chance encounter can often lead to new friends and an invitation to tea or lunch, as teammates have discovered in the past. The fourth-largest ethnic group in the Middle East, up to 35 million Kurds live across the mountainous zones straddling the borders of Turkey, Iraq, Syria, Iran and Armenia. Their distinctive community is united through culture, race and language, though they have no standard dialect. Kurds belong to various religions and creeds with a majority being Sunni Muslims. 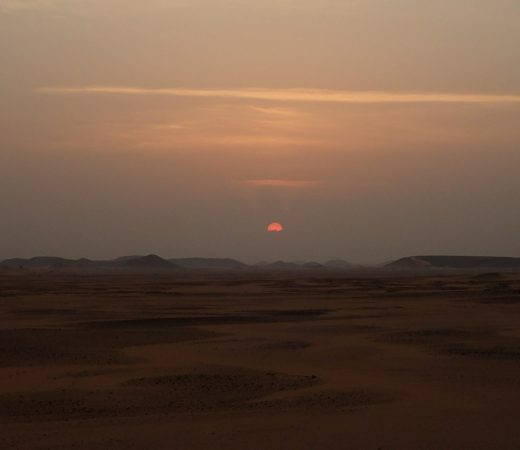 Though they have no nation state, there is a semi-autonomous Kurdistan Region in northern Iraq – the mountains of which are the setting for this epic expedition. Teammates at all skill levels will find challenge and satisfaction in this expedition. Those new to higher mountains or environments requiring helmets, crampons and ice axes will learn everything they need to know to feel confident once up at higher altitudes. Those with significant experience will also find the peak enjoyable, with superb views of the surrounding peaks and valleys from the summit. In such a hard-to-access region, everyone will enjoy camping above the snowline and waking to find no other parties on the mountain: its peaks and slopes are all yours. 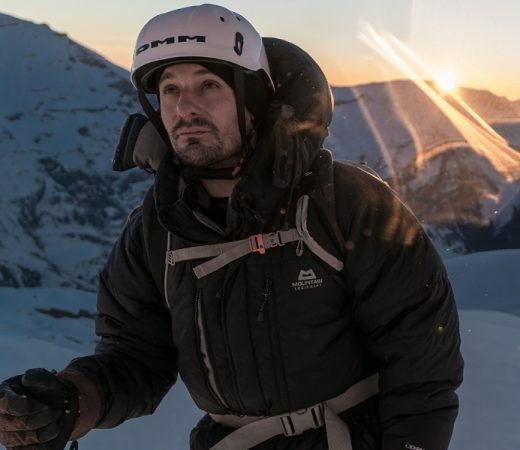 For anyone wishing to learn mountain or Alpine skills in a more dedicated way, Secret Compass runs a ‘learn mountain skills’ expedition across Balkan states of Albania, Macedonia and Kosovo and a ‘learn Alpine skills’ expedition in Georgia, though Mount Halgurd is an excellent first expedition for any fit teammates keen to get their first taste for such snow-bound adventures. Secret Compass runs expeditions with framework itineraries, rather than guided tours with set daily plans. Read about our Ethos above. The following is the outline plan for this wintry expedition to Iraqi Kurdistan – the ‘substance’ rather than the specifics. A fuller itinerary is provided in the Kurdistan Expedition Handbook which is available on request or upon application to join the team. All teammates fly into Erbil to arrive at or before 2000 on day one of the expedition, then get themselves to the local hotel where the Secret Compass leader awaits. The expedition officially begins this evening at the hotel with a welcome and introductory briefing before dinner and bed. After breakfast it’s a four-hour drive onto the mountain town of Choman. Before bed, there’ll be time to explore and to prepare for the trek that begins the next morning. Departing on foot from Choman and for the next seven days, this is the trekking phase of your expedition. 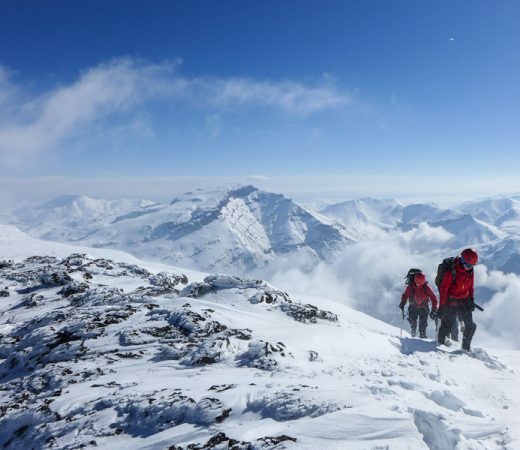 Carrying full winter gear (personal kit plus snacks, ration packs and a share of group kit each), you’ll begin your ascent into the Zagros mountains. Initially the land is green and fertile with flowing streams and rivers. Things get colder, rockier and ultimately snow-covered as the group progresses. The first night involves wild camping above the snowline. Prior to gaining more altitude, essential mountain skills training take place including the use of crampons and ice axes. 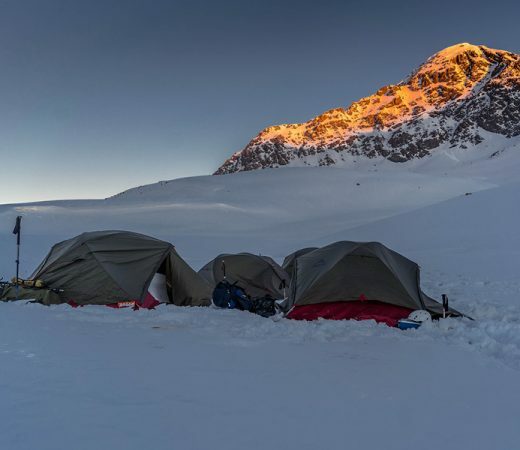 Falling into a trekking routine and getting more efficient at pitching tents, cooking and packing up, the you’ll wind your way ever higher, ultimately setting a base camp at which larger packs can be left before the push to the 3,607m summit of Mount Halgurd. Don’t forget to bring a lightweight flag for those summit shots! Contingency days are built in to allow for adverse weather. 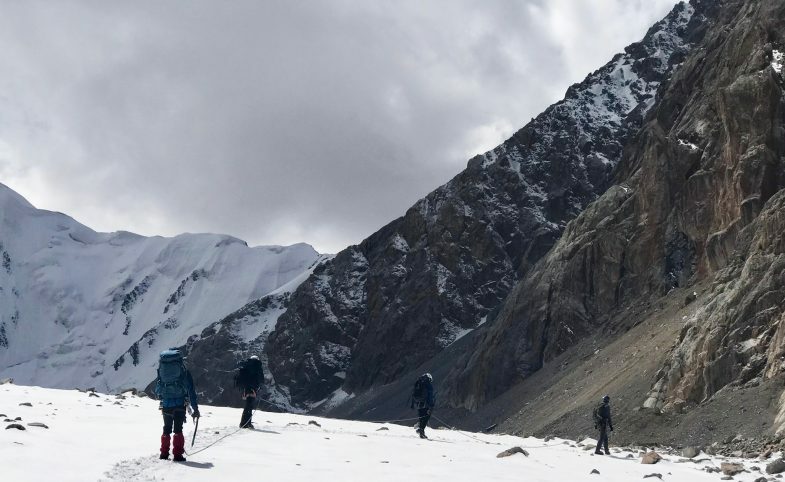 In previous years, perfect conditions have led to an early successful summit, with the leader then guiding the team up additional local peaks before descending back to Choman for some well-earned kebabs, slaps on the back and a good night’s sleep. The peak officially bagged (weather permitting), you’ll then breakfast in Choman before the four-hour drive back to the original team hotel in Erbil. In the evening, enjoy a celebratory team meal and a comfortable night’s stay. The expedition officially ends after breakfast on the final date of the expedition. You’re then free to book flights out at any time from this day onwards and, due to differing departure arrangements, will arrange your own return transfer to the airport (easily organised at the hotel). Secret Compass expeditions are achievable by anyone with a healthy lifestyle and a good level of general fitness. Team members should be willing to be part of a team working together to achieve the goal of the expedition. 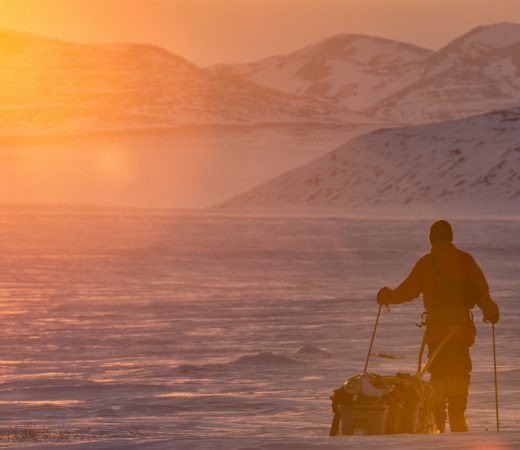 The biggest challenge on this expedition will be dealing with the potentially cold or snowy weather conditions, carrying full winter kit and camping for many days. Terrain: cope with mountainous terrain (up to Scottish Grade 1), reaching 3607m in altitude. Climate: temps ranging from -5 to 20 degrees C.
Accommodation will be in a basic hotel in Erbil at the beginning and end of the expedition, and in Choman en route to the mountain trekking phase. Teammates can leave a bag at the hotel in Erbil at their own risk. 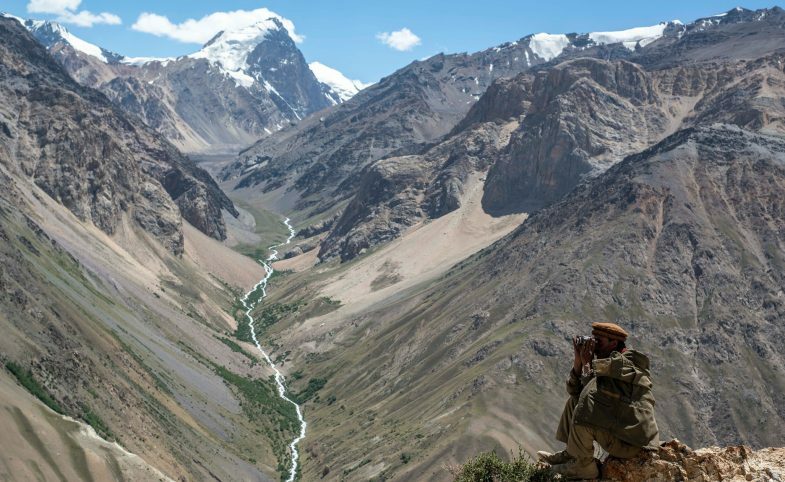 On the trekking part of the expedition the team will wild camp on the mountainside in tents. Food in Kurdistan is plentiful. In urban areas it is usually kebab-based, served with fresh salads, rice and bread. 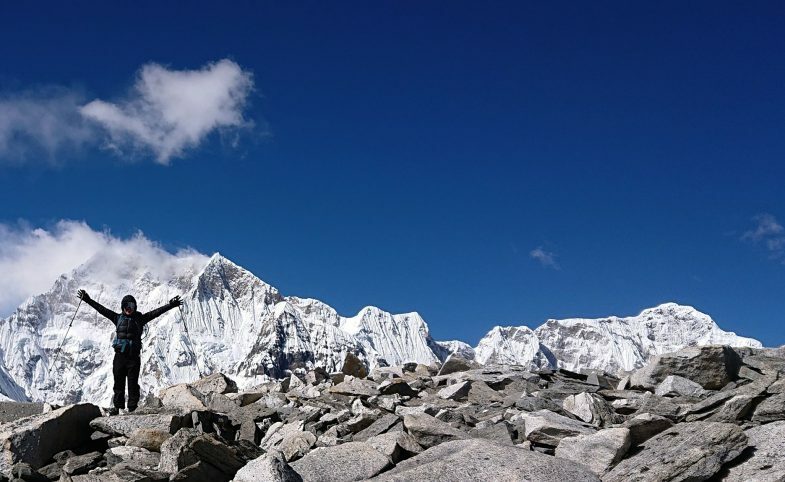 During the trekking phase on the mountain, teammates will eat dehydrated trekking rations which come in a huge variety of flavours and can accommodate vegetarians (choices more limited). Expect to be invited in occasionally along the way, to eat delicious yoghurt and to drink traditional tea. Departing from Erbil, the team can expect bumpy rides in 4WD vehicles and then trekking once in the Zagros mountains for the physical section of this expedition. The Kurdistan Expedition Handbook contains a recommended kit list. This online Handbook is provided to all potential teammates upon application to join the team. Professional Secret Compass leader carrying full communications and medical kits. Special permits and permissions within Kurdistan. International flights/ travel to and from Erbil. On application to join this epic expedition to Iraqi Kurdistan, potential teammates will receive a detailed Expedition Handbook. Here are some expedition-specific questions and our general FAQ will answer many other questions. Get in touch if your question remains unanswered. Crampons are spikey things that attach to the bottom of walking boots to facilitate trekking on snow and ice. For this expedition it is imperative that everyone’s boots are crampon compatible, a B1 rating boot is advised. Consult the internet or your local outdoors shop staff for advice. Secret Compass will provide crampons for all teammates. Can I bring my own crampons? Teammates are welcome to bring crampons, let Secret Compass know so they don’t bring crampons out for you. As The Plan outlines, there is a chain of transport to get teammates out to and back from Choman and so start and end dates are not flexible. Do women need to cover their heads? In Erbil and urban areas women will need to cover their hair/ heads with a scarf or similar. Modest other clothing (long sleeves, long legs) will also be required. Once out on the mountain with just the team for company, there will be no need to cover hair (though you’ll want to anyway – with a nice warm hat!). Will my camera work in the cold? Battery life can be a challenge in cold climates. If camera or phone battery life is of paramount importance, research the best ways to protect and keep your batteries warm and come equipped accordingly. In Erbil, yes. Don’t rely on it but there has also in previous years been some signal on parts of Mount Halgurd.